If you are a student of physics, chemistry, biology astrology can tell you upfront about your success level in these subjects. Future is bright in Physics Chemistry or Biology if you have the deep interest in these subjects. Jobs are easily available if you are talented & if you have knowledge in this field. 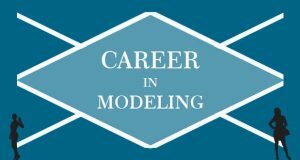 You can choose your career in Physics, Chemistry or Medical field if you have ideal planetary position to get success in this field. The fields are very big & I personally know a lot of people working fine in these fields because I am Ambala based astrologer where the science market is a biggest market of North India. I have analyzed horoscope of industrialists, Scientists, Lab Operators and owners, Physics goods and products related business people. Whatever I learn from people I always share with people so let’s start with basic things. 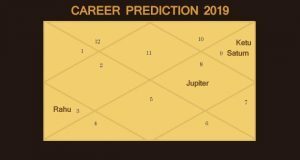 The medical field is extremely technical and Mars, Saturn combination is the first thing you need in your horoscope at good position good degrees between 7 to 24 and also your 10th house must have a connection with Mercury if you want to do business in the medical field. 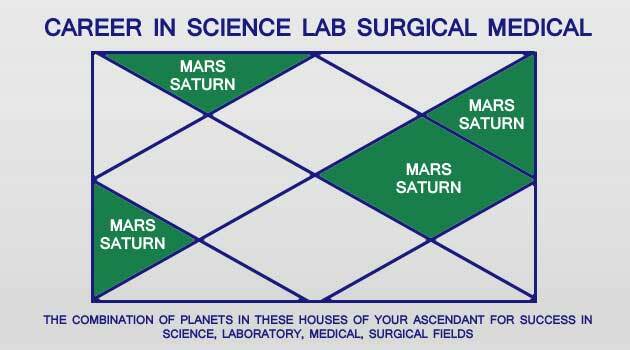 If you just want to choose the career as an employee in the field of science, laboratory and surgical industry medical field you must have Mars Saturn and Jupiter strong in the horoscope. If your Mars and Saturn are situated like the image below you can try your luck in these fields. With Mars Saturn if your Mercury also exists in the same places you can try your luck in the business of science goods, surgical equipment, and medical products. If I talk about Surgical or Medical products the machines and advanced equipment comes under the Saturn and Venus. These two planets must be strong in your horoscope because Saturn is machine and Venus is known for modern advanced things. When Saturn and Venus with Mars in horoscope are connected with 10th, 5th house your deep interest will be in technical parts. You will get more and more success if you get into the machine, equipment, surgical goods and all products related to Medical Industry or Doctors usable. The lab technician or laboratory related fields are based on chemical and liquid. As per astrology, the liquid is Moon and Mars. The combination of different chemicals is related to Ketu planet. To get success in the laboratory, chemical industry or biochemical fields you must have Ketu + Moon connected with Mars and Saturn in your D-10 Chart. In biology, there are many fields. Strong Saturn gives the career in animal or scientist but Surgeons are always coming under Mars and Saturn. If your Saturn is strong you should go into animal research and in the fields related to animals treatment. The only thing which will put you in this field as a successful doctor is zodiac signs like Aries, Taurus, Cancer, Leo, Scorpio Capricorn. I have written a separate post regarding this here is the link. If your Saturn, Mars, and Mercury are strongly connected with 5th and 10th house you will have deep interest in organic science, trees, plant and science related to nature and environment. A book could be written on this subject but let’s not get into detail about it. Your current Planet period or sub-period (Mahadasha) should be of Mars, Saturn. Your D-10 Chart should have Saturn and Mars situated together. This will make you successful businessman in the medical field. From your Moon Sign your Saturn must not be in 4th, 8th, 10th or 12th house as per current planetary positions. These three rules are enough to get success in the field of Science, Medical. Other than this there are many planets helpful in the above fields but these rules are basics. If you need perfect prediction about your career horoscope you can send your birth details to me. 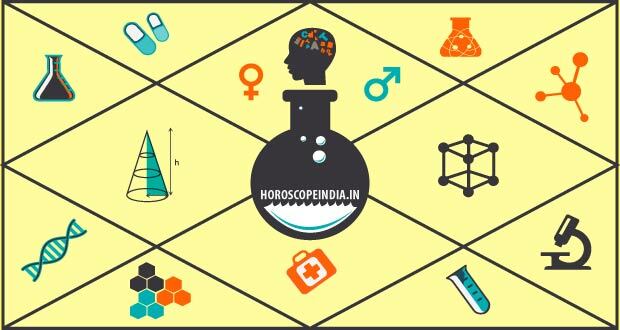 The point is if you are a student of medical, pursuing medical non-medical, science, plastic industry, glassware or similar fields you can get help from astrology to know how much planets are helpful for you. If not recommended you can change your mind before you get into these fields. 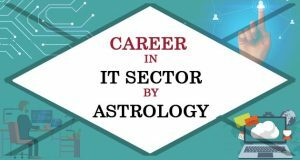 This is how astrology helps to choose a right career.